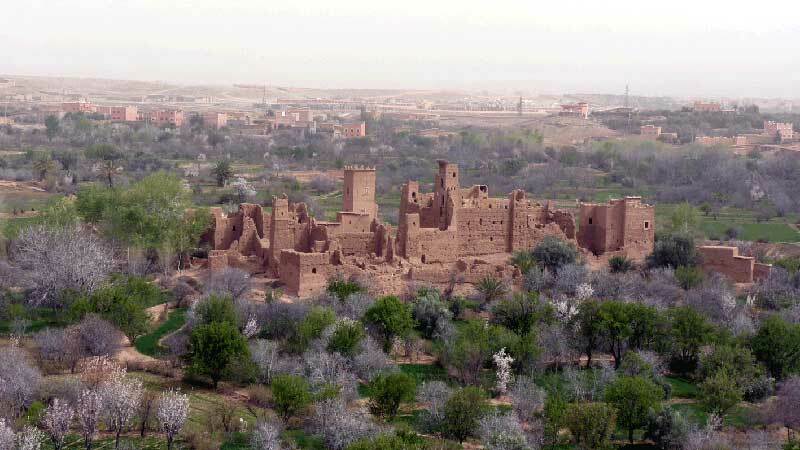 Kasbah Itran is on the outskirts of a small but busy commercial town in the south of Morocco, El Kelaa M´gouna, 75 Km from Ouarzazate and its airport. 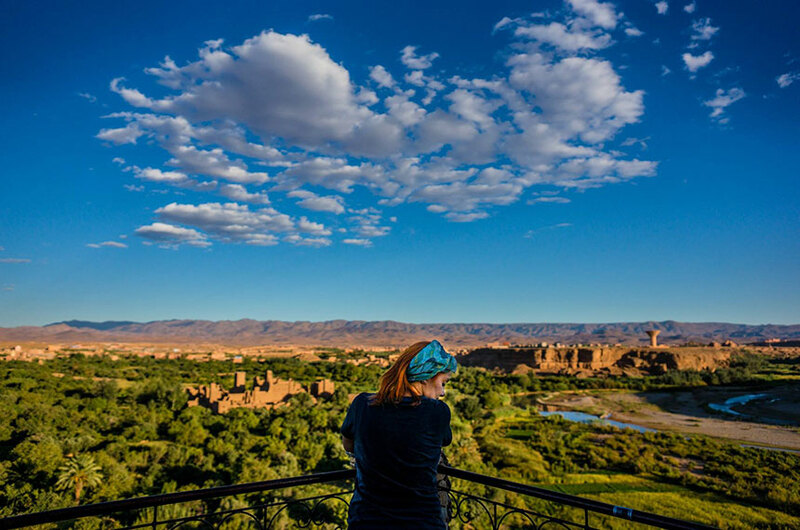 Located between the snow of the Atlas and the sand of the desert, Kasbah Itran is a real balcony overlooking the life of Berber Peoples in the Dades valley. 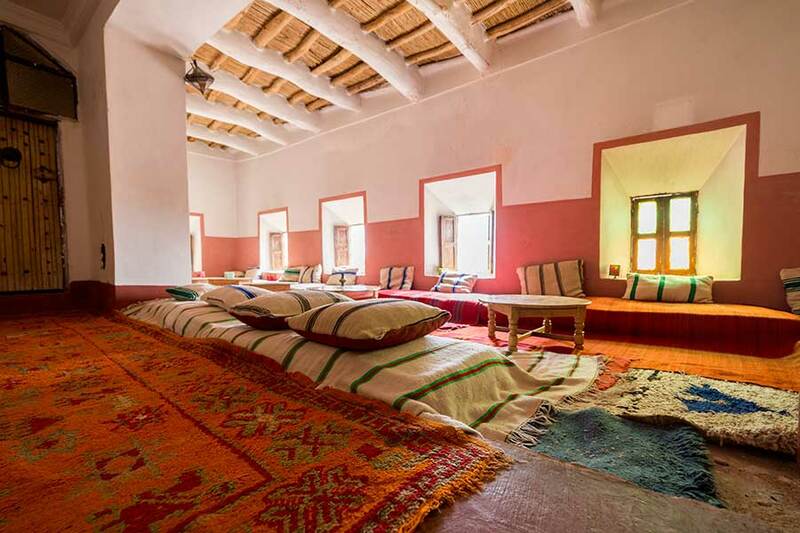 We have 10 rooms with bathroom, including 3 large rooms for up to 5 people ideal for a family or group of friends. 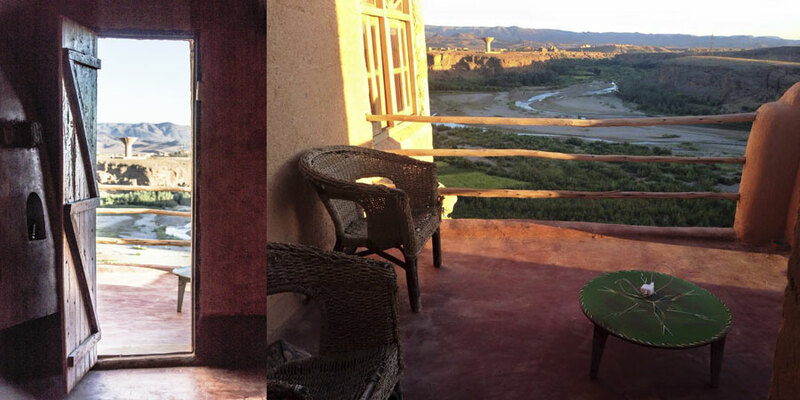 From the private terrace you have these rooms you can enjoy spectacular views over the valley. 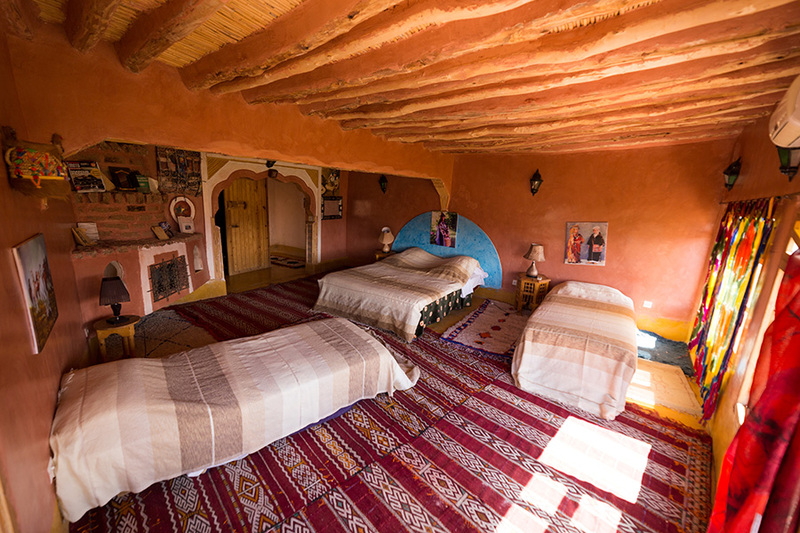 All rooms have air conditioning and a wood stove to feel comfortable during the coldest months of the year. 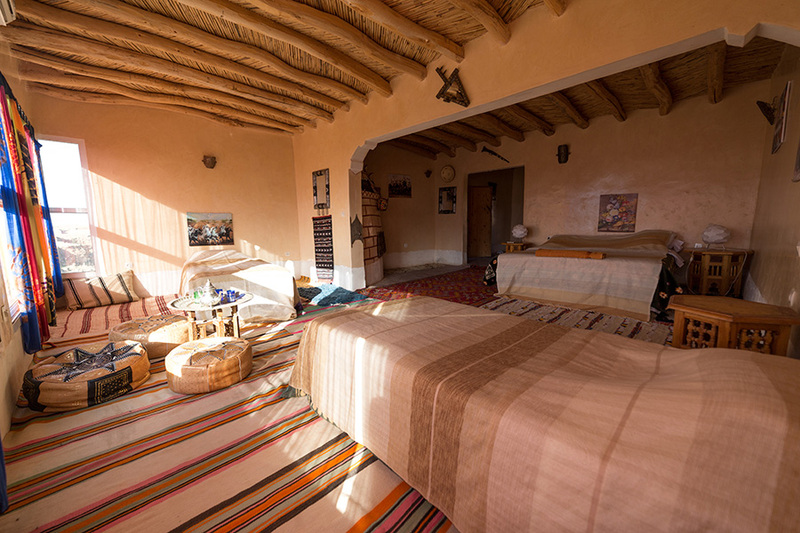 We also have 3 rooms with bathroom outside, more modest but equally comfortable. 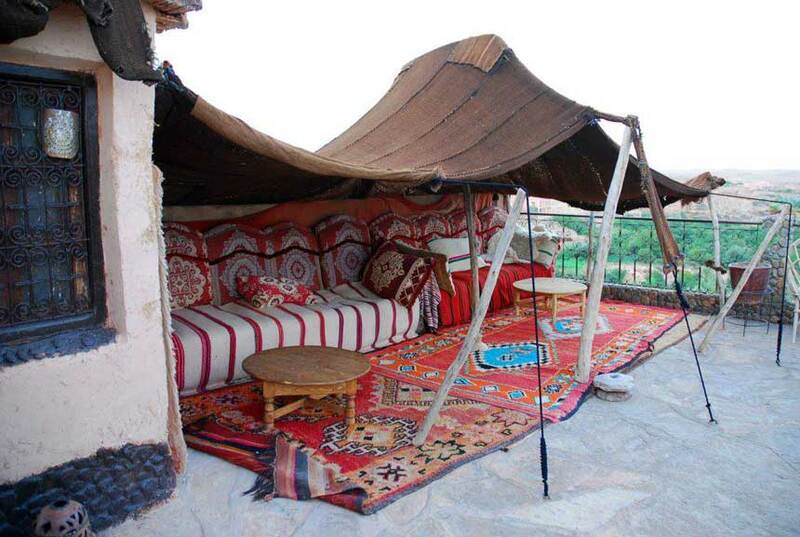 These rooms do not have private terrace or andicionado air. 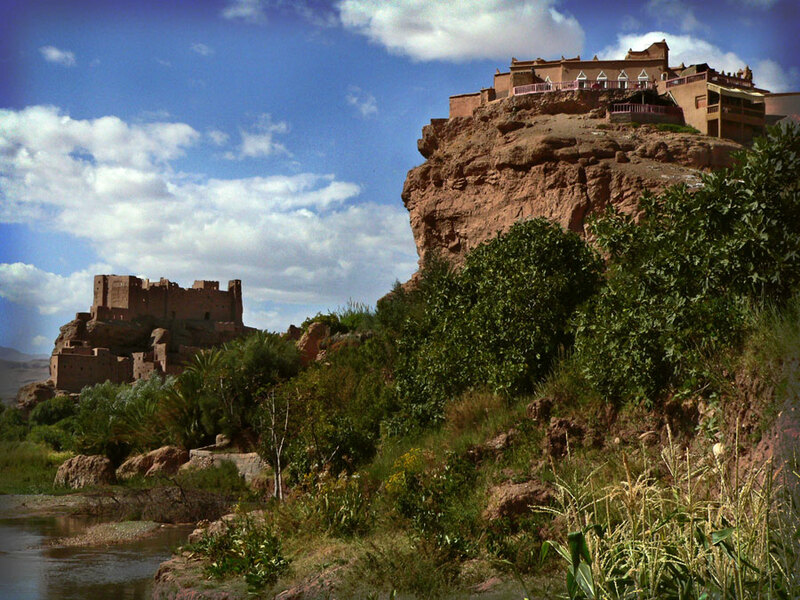 The large balconys overlooking the cultivating lands on the banks of the river M'Goung is a unique feature of the Kasbah. This arrangement at different heights allows you to find your "personal corner" where to get together for tea with fellow travelers. 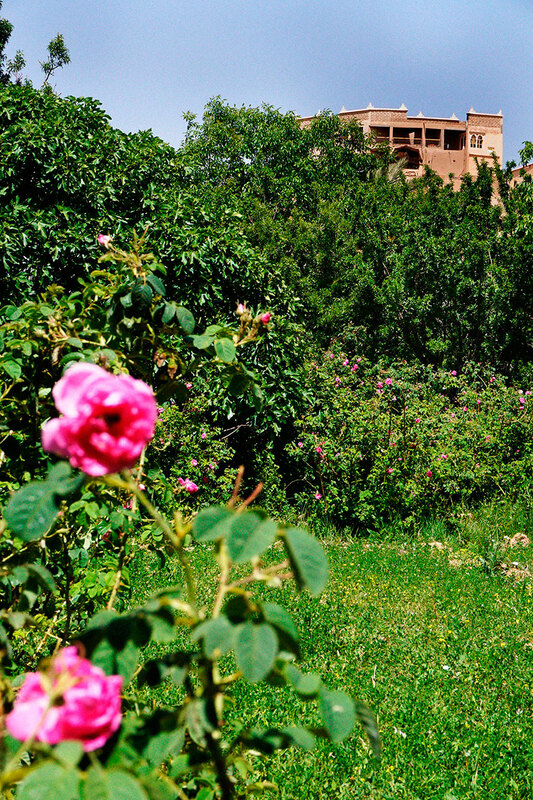 Surely a long journey rest in any of the terraces of the Kasbah is one of the great experiences of staying in kasbah itran. 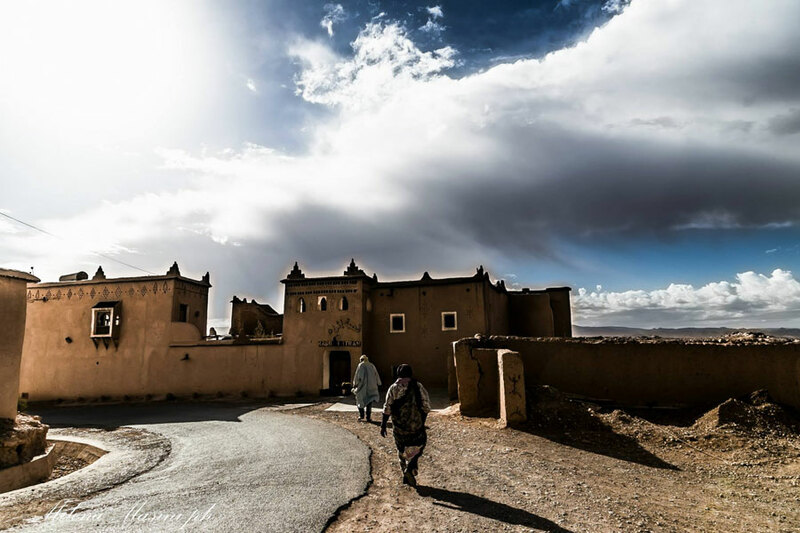 Even though we have a modern kitchen we have also kept the traditional Berber stove, a clay oven, where we prepare the most traditional and elaborated Berber dishes.. 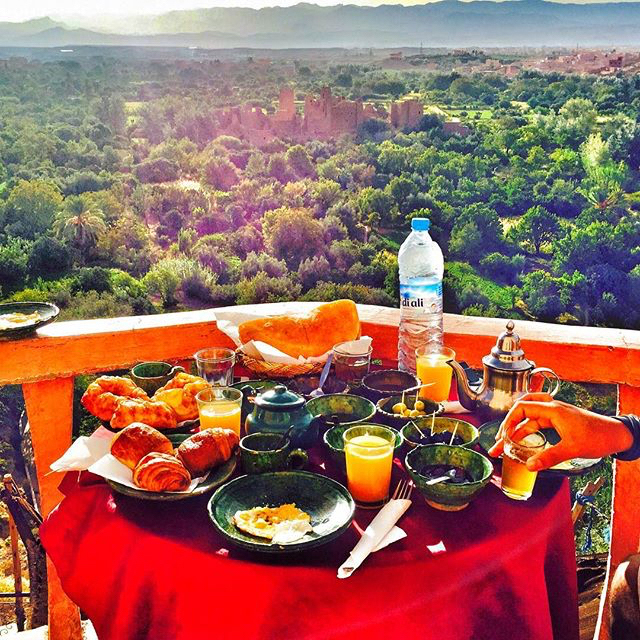 Meals are served in our salon and if time permits at any of the terraces of the Kasbah. 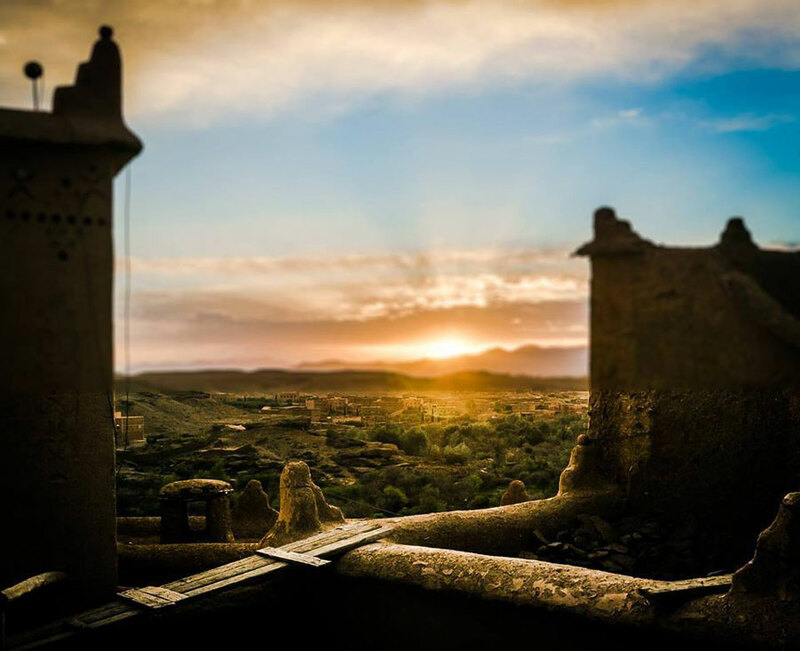 From the Kasbah you will be connected with the world through our wireless network. We also have a large parking area.